The recent edition (no. 15) of hacker magazine POC||GTFO features a nice article on cracking JKS Java keystores. JKS is the default keystore in all current versions of Java and still the only kind available in several widely-used application frameworks, despite issues with its security. The keystore works by password-based encryption (PBE): you supply a password and the private keys are encrypted under a key derived from that password. There are just two problems: the encryption is not real encryption and the key derivation is extremely weak. The PBE works by applying the hash function SHA-1 to the password (and a salt) to generate a keystream, and XORing the resulting stream against the key. In January 2017 Oracle released a Java update with a number of improvements to its crypto security. These included increasing minimum parameters (1024 bits for RSA XML signatures and DSA certificates, 256 bits for Elliptic curve keys used in TLS,..), and changing the treatment of a number of crypto operations (for example, JARs signed with less-than-1024-bit RSA keys are now considered unsigned). However, these changes would be considered overdue my most standards agencies: both the 2016 NIST and ECRYPT standards consider 1024 bits RSA suitable only for legacy use. This highlights a problem with Java: every upgrade must take into account the vast amount of deployed code that might break when these parameters are changed. A recent wikileaks dump of CIA material included a file called “Network Operations Division Cryptographic Requirements“. Assuming it’s genuine, this 17-page PDF describes crypto policy that must be followed by developers of “tools used to advance the CIA’s intelligence collection activities”. Since a government security agency has insight into the state of the art in non-public cryptanalysis, it’s interesting to see what government spies recommend as a secure policy for crypto usage. Here I’ve picked out a few of the highlights that were interesting to me, in particular in the ways they’re different from other public crypto standards like PCI or ECRYPT. Today Google announced the first public full SHA-1 collision, i.e. the first pair of distinct values that when hashed with the SHA-1 function produce the same digest. This should not come as a surprise – it follows the free-start collisions announced at the end of 2015, and many cryptographers had been anticipating full SHA-1 collisions imminently. To understand what this means, it helps to look at what happened after collisions were found in the MD5 hash function. If you write a Java application that uses cryptography, chances are you’ll have to store some cryptographic keys. The Java crypto APIs provide an abstraction for dealing with this called keystores. In this post, we’re going to look into how Java keystores are protected when written out as files. In fact there are several kinds of Java keystore, and different Java crypto providers implement them in different ways, resulting in files that are more or less resistant to attack. For example, in the Sun crypto provider, there is the “JKS” old-style Sun keystore, the “JCEKS” new(-ish) style Sun keystore, and a PKCS12 compatible keystore. Other providers like BouncyCastle offer their own variations. When it comes to protecting fields containing the keys, all of these keystores function by some kind of password-based encryption (PBE). If an encryption password is given (and it’s not always mandatory to do so), this is used to derive a key that’s then used to encrypt the file containing the serialization of the keys. In the old-style Sun JKS keystore, the PBE method is somewhat unconventional. Individual keys are XORed against a keystream derived by applying SHA-1 repeatedly to the password and a 20 byte salt. Only one SHA-1 application is required to derive the first keystream byte. Since DER encoded keys contain a lot of structure in their first bytes, we can work out what the first few bytes of the hashed password must be, which makes a dictionary-based cracker highly efficient. As a final quirk, an integrity signature is calculated over the encrypted keystore by hashing the password, the keystore, and the US-ASCII string “Mighty Aphrodite”. Nobody seems to know why, but perhaps it dates the design back to 1995, when the Woody Allen film of the same name was in the cinemas, and the first Java beta release was made. 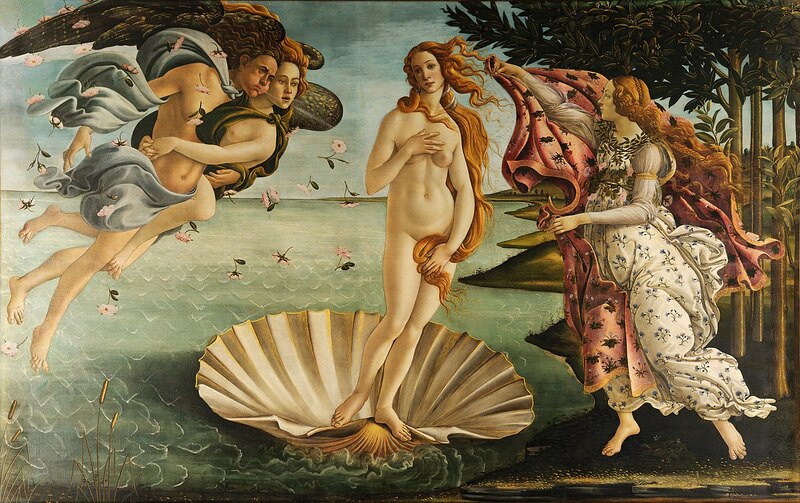 Hence the Botticelli Venus above (and note the perfect logarithmic spiral of the curl on her right shoulder). It should be clear that you must not use these legacy techniques to protect real keys in today’s environments. It’s one of the keystore-related weaknesses we detect with our Java Crypto App Tracer, and we come across it it quite often. There’s simply a lot of Java code in production that has not been audited for crypto security since it was written 15 years ago or more. You can find out more about keystore security and other Java crypto security issues in our free whitepaper. To find these and other crypto security issues in Java applications, you can use our Analyzer software. Recent news about the discovery of free-start collisions for the SHA-1 hash function has attracted plenty of attention. But what does this mean for the security of SHA-1, and what should you do if you’re using it? Hash functions take as input a string of (more or less) any length and produce a relatively short “digest” as an output. If the hash function is a good one, any change in the input will produce a change in the digest which is hard (in the cryptographic sense) to predict. This is handy for many applications. A typical one is digitally signing documents: rather than computing the signature of a large file, which would be slow, I first compute the digest and then sign this. For verification, it is enough to recompute the digest of the document and check the signature matches. Since a hash function takes inputs from a huge range of values and produces outputs in a much smaller range of values, it is clear that there will exist pairs of inputs that hash to give the same digest. These are called hash collisions. If the hash function is an ideal one, there should be no better way to find these than by trial and error, i.e. by just generating lots of strings and applying the hash function to compute their digests. If the hash function produces a 160-bit digest, it will take on average 2^80 strings before we find a collision (by the so-called birthday paradox). In the past, hash functions such as MD5 have been shown to be “broken” in the sense that one can craft collisions with far less computational effort. This can lead to catastrophic loss of security: for example, two different documents that give the same digest, so that the signature for one is also valid for the other, or two different SSL certificates, leading to a trusted “rogue CA” allowing man-in-the-middle attacks on all browsers. While the recent results on SHA-1 don’t give a collision, they show that a collision could be calculated with the kind of computing power that is within reach of a well-funded organisation. So how serious would a collision be and what should you do? If you are using SHA-1 to make a digest of a certificate before signing it, or accepting such certificates, collisions are a big problem. After collisions were found in MD5, these were used the Flame malware to trick systems into accepting code to execute as if it had been signed by Microsoft (in a slightly roundabout way – see part IV of this presentation). Attackers are certainly no less sophisticated today than in 2010, so this is a realistic attack vector. This is one reason why web browsers are proposing to phase out SHA-1 digest certificates for TLS origins. If you are using SHA-1 to digest documents for signing, this is also dangerous, for the same reason: with collisions, a signature for one document could be presented as a valid signature of another. If you use SHA-1 inside an HMAC, the problem is much less serious. First, HMAC is still secure even if the underlying hash function is not collision-resistant. It is only necessary that the hash function be a PRF, that is, (roughly) indistinguishable from random by a reasonably-resourced attacker. The only consideration is that SHA-1’s output length is only 160 bits. Some agencies such as ENISA already consider this too short for future use. If you use SHA-1 inside PBKDF2 for storing passwords, you’re not in immediate danger from collisions, but you should probably reconsider your choice anyway. As we explained in a recent post, SHA-1 is much easier to implement in hardware and hence leaves password files more vulnerable to brute-force dictionary attackers. You can find SHA-1 in applications and libraries using our Analyzer software. Click below to try it for free. PBKDF2, standardised in RFC 2898 and PKCS#5, is a function for creating a cryptographic key from a password. It is the only such function currently appearing in NIST standards, hence it has seen widespread use. The aim of the function is to create a key in such a way that dictionary attacks (where the attacker just tries a range of possible passwords) are unfeasible. To do this, PBKDF2 applies a pseudorandom function (PRF) to the password many times. This means that an attacker making a guess at the password will also have to apply the function many times to his guess. Additionally, the function can be given a “salt” parameter. The idea of this is to make each key derivation operation unique, so that an attacker cannot guess one password and then look for matches against a large number of derived keys. These properties mean PBKDF2 is used not just to produce a key to be used in a cryptographic protocol, but also to store passwords securely (by storing the derived keys). A developer using PBKDF2 must choose parameter values for the salt, the PRF, and the number of iterations, i.e. the number of times the PRF will be applied to the password when deriving the key. The specification suggests (in section 4.1) that the salt be (or contain) a 64 bit pseudorandom value. This makes collisions (i.e. occasions that two stored passwords use the same salt) unlikely. By the birthday paradox, we would expect a collision after 2^32 passwords, i.e. a little more than 4 billion. The PRF mentioned in the specification is SHA-1, and in many libraries this is the only choice. However, using SHA-256 or SHA-512 has the benefit of significantly increasing the memory requirements, which increases the cost for an attacker wishing to attack use hardware-based password crackers based on GPUs or ASICs. The recommended iteration count in the RFC published in September 2000 was 1000. Computing performance has greatly increased since then. Modern guides such as the OWASP password storage cheat sheet (2015) recommend 10 000 iterations. NIST’s own guide (Appendix A.2.2) recommends that the iteration count be “as high as can be tolerated while still allowing acceptable server performance”. Update August 2016 New NIST guidelines now also recommend a minimum of 10 000 iterations (sec 5.1.1). What are the consequences of a low iteration count? Imagine we are restricted to using SHA-1 as our PRF, as is the case for example in PKCS#11 up to version v2.20. How long would it take a well-resourced attacker (i.e. with access to GPUs) to break an 8-character password? First we have to estimate how much entropy or “randomness” there is in an 8-character password. An excellent paper by Kelley et al. from IEEE Security and Privacy 2012 found that when users are forced to choose a password following the “Comprehensive8” policy, “Password must have at least 8 characters including an uppercase and lowercase letter, a symbol, and a digit. It may not contain a dictionary word.”, the result is roughly 33 bits of entropy. If, however, the password is a perfectly random combination of uppercase and lowercase letters, numbers and the 30 symbols on a US keyboard, we would expect 52 bits of entropy. Interestingly, the same result can be obtained by choosing 4 random words from the Diceware list. Second, we need to know how fast GPUs can calculate PBKDF2. An article from April 2013 reports a rate of 3 million PBKDF2 guesses per second on a typical GPU setup. This includes calculating AES once for each guess (to see if the right key has been derived to decrypt a master key file), and it’s now November 2015, so suppose conservatively we can apply Moore’s law almost once since then (whether one can apply Moore’s “law” to GPUs is doubtful), giving a very rough rule-of-thumb ability of 5 million guesses per second on typical GPU hardware. The table below shows how long an attacker would take to cover the whole password space of a single salted hashed password. use a unique 64-bit salt for each password. rather than SHA-1, use SHA-512 or if not SHA-256 if you can. use an iteration count of at least 10000, more if you can do it “while still allowing acceptable server performance”. On this last point, note that execution speeds of PBKDF2 implementations vary widely. Using a faster implementation will allow you to run more iterations without slowing down your server. In a future blog post, we’ll cover other password hashing functions like bcrypt, scrypt, and the winner of the recent password hashing competition, ARGON-2. One thing we learned since the last version of PKCS#11 is that Authenticated Encryption (AE) is not just a fancy crypto nicety, it’s a security necessity for almost any serious application. While you can build your own authenticated encryption from old PKCS#11 modes (here is one interesting way to do it), it’s simpler and more error-resistant to use a dedicated AE mode. PKCS#11 v2.40 contains two of these, GCM (as used, for example, in TLS) and CCM (as used in many embedded devices). The original PKCS#11 contained MAC modes that were used in the financial sector in applications where every message was a fixed-length block. Unfortunately, these modes give no guarantee of security if message length is variable. PKCS#11 v2.40 contains mechanisms like CMAC which are secure in the variable-length setting. Password-based key derivation functions (PBKDFs) are often used to store passwords in a secure way by hashing and salting them. The idea of a good PBKDF is that it requires enough computational resource to calculate that a realistic adversary will not be able to brute-force guess your password if he obtains the hashed and salted version. PKCS#11 v2.20 only supported PBKDF2 with the SHA-1 hash, which is no longer a good choice for this application, since advances notably in hardware-based hash crackers have made brute-force guessing these passwords much more feasible. PKCS#11 v2.40 supports SHA-512 (and SHA-256) for PBKDF2, which makes these attacks much harder. A large amount of ancient cryptographic mechanisms like SKIPJACK and FASTHASH as well as broken functions like MD5 have been removed from the “current mechanisms” list. This should mean less chance of an error by an unwary programmer. However, take care, there are still insecure mechanisms in the list, like RSA PKCS#1v1.5 Encryption (recently removed from both TLS and the W3C Web Crypto API). Two new attributes in PKCS#11 give you more fine-tuned control over key-management by marking keys that may be duplicated or deleted. Careful how you use them, though. Our Analyzer tool can help understand the security consequences of attribute configuration. PKCS#11 v2.40 is a big step forward. If you want your crypto infrastructure to be secure, you should ask your vendor about their upgrade plans.